To create a new project, simply follow the steps below. 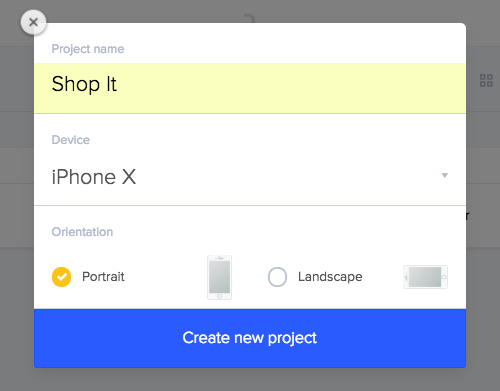 From the project list screen, click on the button that says, + New project. Select the orientation (portrait or landscape). Click Create new project to finish.